Registration Closes March 11 – On site price for full series pass will be $325 and individual classes will have an additional $10 fee each. Save money and register today! This session will discuss and share unique ways you should be looking at business data compared to the published national reports, which often don’t apply to what is happening in your local market. With the increased pressures from insurers to increase performance, it is imperative to have a more in-depth understanding of your numbers. We will discuss some common business KPI’s in an enhanced way that provides a more accurate analysis and specific areas for improvement. Attendees will leave with a better understanding of the importance of knowing their unknowns and how it can impact their business, how the “unknows” can be used in making business decision on selecting a DRP or even which OE certifications are right for them, and see examples of meaningful data that will help employees see the impact their job has on the overall business. The automotive industry is experiencing disruption everywhere! Today’s vehicles are computers on wheels. There are more “lines of software code” in today’s cars than a Boeing 777. According to McKinsey and Company, today’s connected cars create up to 25GB of data per hour. Moreover, OEM manufacturers are moving towards a “mobility model”, with data warehousing, autonomous vehicles, subscription services and technology integrators as their focus, while other tech companies are also entering the space. Will you and your business be ready, willing and able to thrive or even survive the auto industry’s mass disruption? In this session, attendees will learn: · The major technology disruptions occurring in the automotive industry· 5 ideas on what your business can do to survive and thrive! 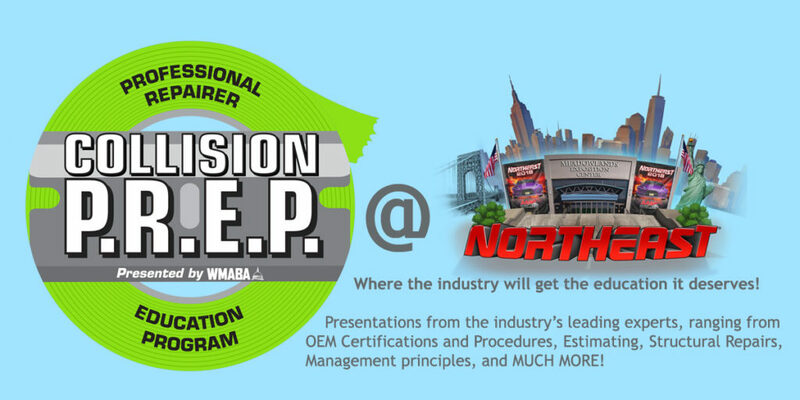 This session covers step by step documentation tips to gain maximum reimbursement on scanning, associated/related damage, measuring and structure repair time, adhesives and corrosion protection, mechanical repairs, interior paint, tire documentation requirements, and refinish operations such as; four-stage paint. Using OEM position papers/repair procedures, recognized SOP’s from 3M, information from DEG inquiries and missed operations identified in the SCRS Guide to Complete Repair Planning and other resources, attendees will see how to use estimate lines, line notes and photos to effectively document their repair process. The attendee will understand how to answer questions before they are asked by utilizing an estimate line, estimate line note and photos to clearly define their repair process and why the task needs to be performed, how to itemize specific products used during the course of repair aligned with the documentation necessary to gain reimbursemen, and understand the value of clear photos to help describe the repair required and how multiple angles of a repair could validate labor hours. $295 Full Registration or Individual Classes Price Varies – (On site price for full series pass will be $325 and individual classes will have an additional $10 fee each.) Save money and register today!